This chasuble is beautiful. The picture really doesn't do it justice. I am well pleased with the quality of the embroidery and the manufacturing of this piece! Also, the staff at Ackermann's was absolutely amazing allowing me to customize what I wanted and responding very promptly to my emails. Love it. Beautiful at a good price. Good transaction. 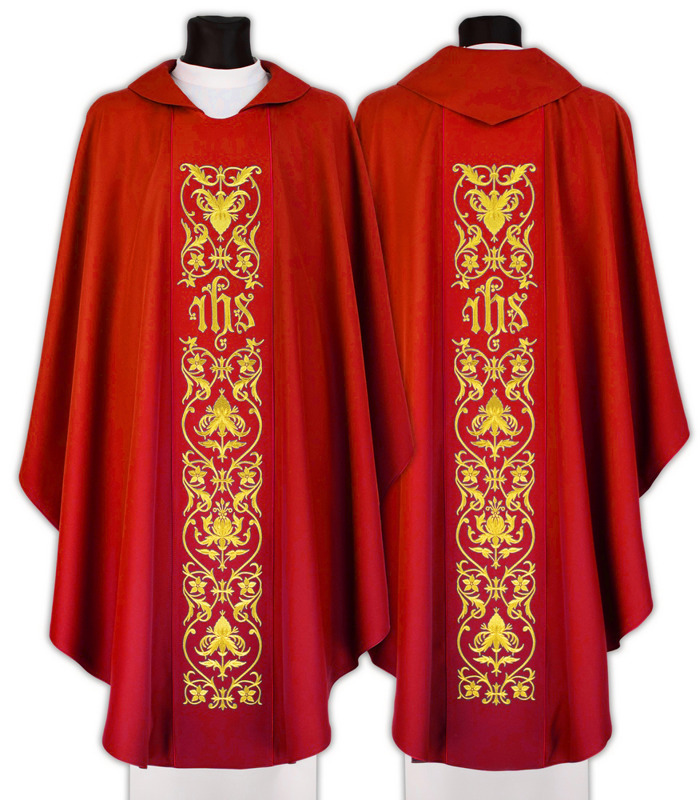 Very high quality vestment. Will be looking for more! parishioners comment how beautiful these vestments are. It's a simple and beautifully made cope. I would recommend it to my priest friends.